It's been a while since we've been amused by the sight of lego, but Mike Stimpson classic lego photographs managed just that. The clever photographer has recreated some classic images using the little plastic blocks... if only we had thought of it first! 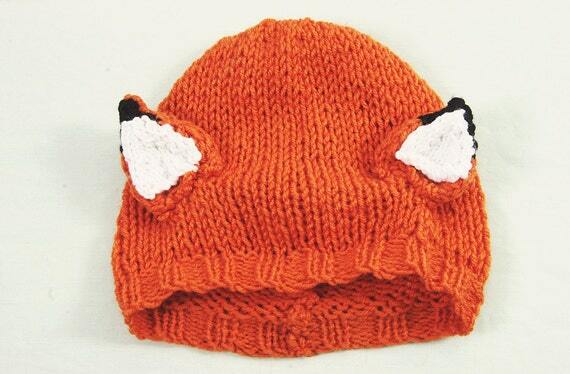 The urban fox: cunning, sly, wily, one of nature’s true grifters. Rummaging and knocking over your bins in the middle of the night... perhaps sometimes we forget how sleek, beautiful and fabulous they are? 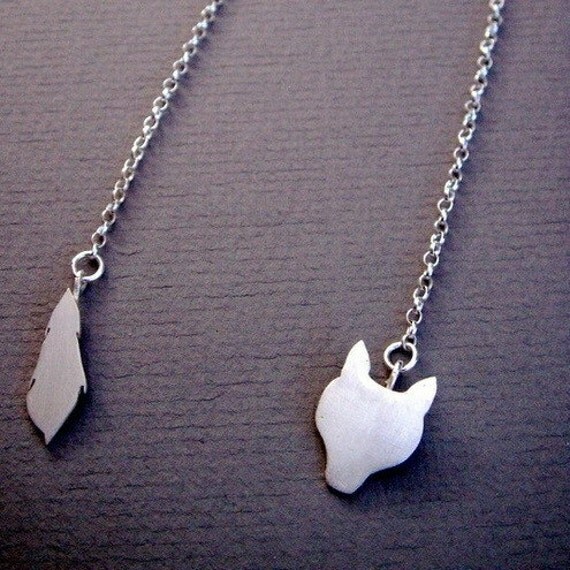 Sterling Silver fox stole necklace by bbel...20’s glamour with a modern twist. 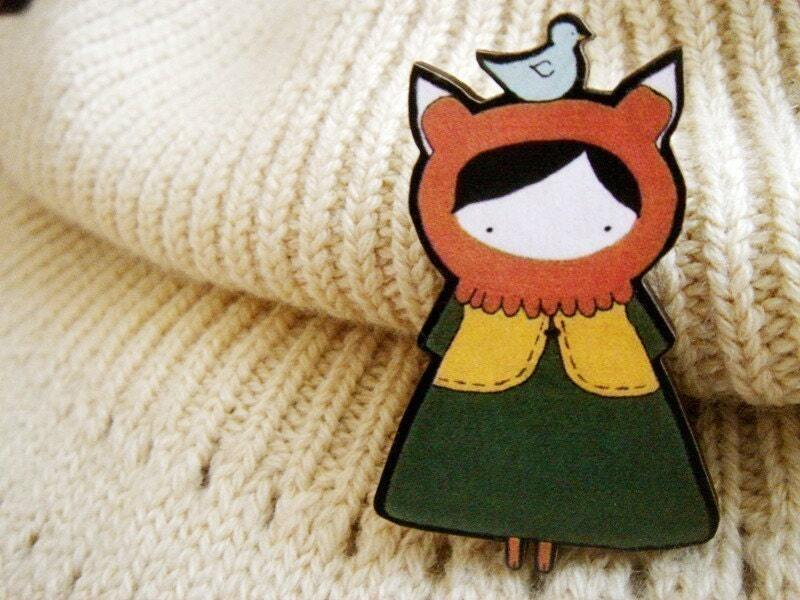 Craftyfolk Miss Fox Illustrated wooden brooch designed and made by Sarah Golden... incredibly cute! 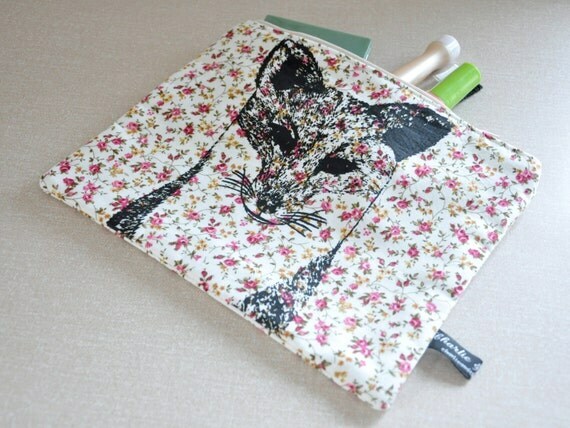 Charlie and the Fox pretty screen printed make up bag... just the thing to keep your lipstick safe! Hero&Cape is a new British creative label, driven by clothing that is as special to you as a superhero's cape! We aim to make you the hero of the story, with unique and original illustrations and hand printed clothing! Our first collection is a capsule range of white tees with a twist. We have designed on white T-shirts (our blank canvas) to show they can be stylish and fashionable. Plus, with screen-printed original drawings, we see it is a piece of wearable art! What made you want to start up your own business? To be honest I'd never thought I would be running my own business (at this age/stage of my life anyway!). I had graduated from university in 2009 with a degree in Transportation Design and spent about 18 months looking for a long term job in car or product design. I was getting freelance jobs and short-term placements but nothing concrete, so I thought to myself, what else can I do with my skills that is more permanent and in the long-run offer more stability (in terms of job security and location). The main contributing factor however in my decision to start my own business, was knowing that I'd be in control of everything and there would be a huge responsibility on me to make everything work. I was hugely excited by the prospect of that challenge and pushing myself into a brand new territory which I'd never even been close to before! So, last year I decided to sell my car in order to raise some capital for the new business and 12 months of blood, sweat and tears later here we are now! Where does your inspiration for the designs come from? The inspiration can come from anything! It's hard to pinpoint a specific inspiration for the designs! I think anyone can find inspiration from anything at anytime in life, whether it be from the TV, music, books & magazines etc. I think we're lucky to be living in a time where information and media is so accessible and almost shoved in our faces! We're constantly bombarded by imagery and music and trends, and not only that, I think we're lucky to be living in a era where we are really appreciating the old and classic things too, like vintage and retro products and old media, despite the new technology. Another inspiration for me is the way the boundaries of design and being stretched and pushed so far now in the 21st century. When we look at people like Lady Gaga and her outrageous style or modern architecture like the Gherkin in London it’s impossible not to be inspired by the possibilities of design in all areas. I think that’s what is so great about design, that you can push boundaries and change people’s thoughts of what is "normal" or possible. Who would you most love to see wearing one of your designs? This is an easy one because when we were doing the research for the brand I had a male and female muse in my head! For the guy it would be Joseph Gordon Levitt or current Dr Who, Matt Smith. Joseph Gordon Levitt because he's super cool and he manages to look good in either a T-shirt or a suit - he's in a band as well as being an excellent actor! I chose Matt Smith, more for his Dr Who character really! I just love the sense of fun and almost juvenile and sometimes innocent character he portrays, and I don't think we'd seen that in the new Dr's. It's sort of a 'we can have a super fun time and mess about while we are doing some serious work attitude', and that goes hand in hand with Hero&Cape! For the girl it would have to be Mary-Kate and Ashley Olsen, I think they have that effortlessness to their style and they manage to make a casual garment like a T-shirt or vest top look edgy and feminine at the same time. What does the future hold for Hero&Cape? More interviews and features with Cellardoor I hope! I think for the next year or so the aim is to survive and learn as much as we can about the market, our customers and ourselves. We need to keep working hard and not take our foot of the gas and build on the brand and increase our prominence in the market. We recently had our first piece of press coverage in Bizarre magazine and hopefully there'll be more of that to come! Another thing which we've been discussing a lot about is collaboration on special edition products with graphic illustrators. Eventually, we'd like to be producing our own Hero&Cape clothing, but that’s a long long way off! In the meantime we're always looking for ways to keep things fresh and interesting without losing focus of what we're about. Another new feature on the Cellardoor blog, this time we give you all a chance to creep into our speakers and see what's making our ears happy this week. The first post is dedicated to a gorgeous voice we can't seem to shake off repeat, the lovely Ben Howard. His soothing tones are just perfect to accompany the autumnal sunshine we've had recently. So press play and let us know what you think. P.S Do let us know what you're listening to.. and you never know it might even end up on our next Spotify playlist!